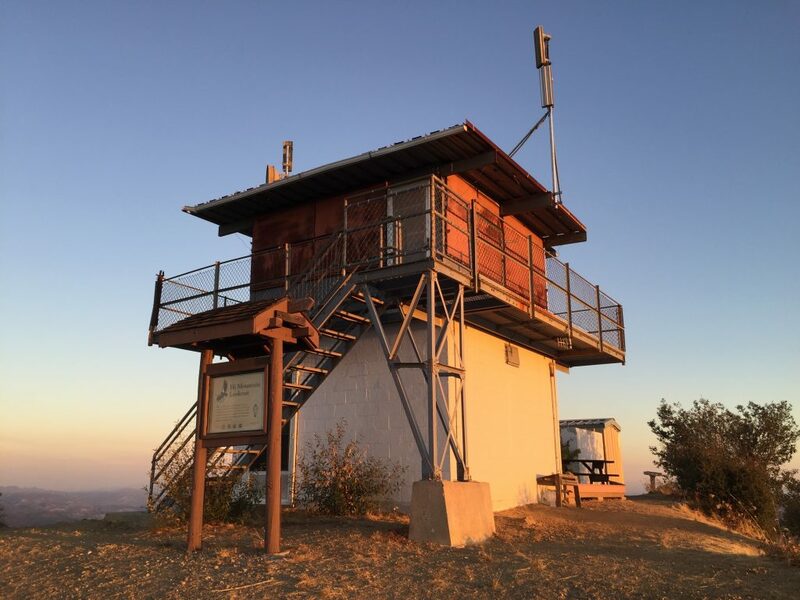 Like many others, Hi Mountain Lookout on California’s central coast was built for the U.S. Forest Service in the 1960’s. Like many others, it was the second lookout structure built on a strategic mountaintop. Like many others, it served for years providing fixed point fire detection in the Los Padres National Forest. Like many others, it was shut down and boarded up to suffer years of vandalism and neglect. And like over 1,100 others, it resides on the National Historic Lookout Register (#522). But unlike the others, it was saved and restored for an extraordinary mission in endangered species conservation and field ecology. Hi Mountain is in the Santa Lucia Range, northeast of the coastal city of San Luis Obispo. This area is the habitat of the California Condor, Gymnogyps californianus, the largest North American land bird, which is the focus of much attention in the southwest. The California Condor can reach a wingspan of 9 feet and can weigh as much as 26 pounds. Because of lead poisoning, habitat destruction and poaching, the California Condor was on the verge of extinction. 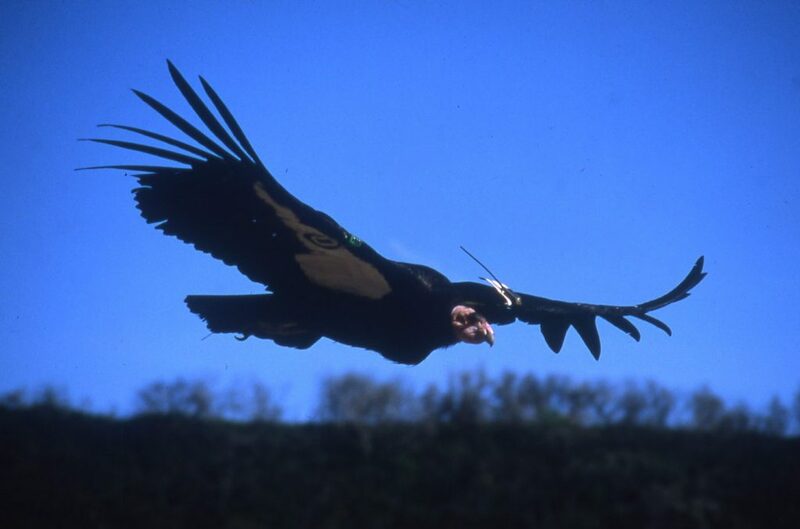 In 1987, there were only 27 individuals remaining and all surviving condors were captured for captive breeding. An amazing breeding effort has increased their number to over 400, but the species is still listed as critically endangered. After being raised in captivity, many young adults are fitted with radio transmitters and released. Tracking their movement outside of captivity helps wildlife experts build their knowledge base in order to protect and sustain the species. The original Hi Mountain Lookout went into service in 1926. It was replaced in 1961 with a CL-100 steel cab mounted on a 10-foot concrete block base. In the late 1970’s when the lookout was still active, volunteers from the Morro Coast Audubon Society (MCAS), in partnership with the USFS wildlife biologist, used the tower to monitor a nearby peregrine falcon nesting area during the fire lookouts’ offseason. This was the beginning of a great idea and an ongoing and successful project that thrives over 40 years later. The tower was eventually taken out of service, and sat dormant for about 15 years. Remembering the advantages of using the tower for the peregrine falcon work, Steve Schubert of the MCAS worked with USFS wildlife biologist Kevin Cooper in 1996 to restore the tower as a biological field research station (with an emphasis on the California Condor) and public education center. What came of that proposal is an impressive, successful and complex collaboration of people and agencies. Schubert and Cooper collaborated with the U.S. Fish & Wildlife Service, Hopper Mountain National Wildlife Refuge, Pinnacles National Park, the Ventana Wildlife Society, and interestingly, California State Polytechnic University, San Luis Obispo (“Cal Poly”). Schubert and Cooper, along with Dr. Francis Villablanca, Cal Poly Biology Professor and Hi Mountain Lookout student intern advisor, began deploying student interns to the tower to conduct field research and condor radiotracking. This practical source of staffing proved to be highly successful and has continued every year since. 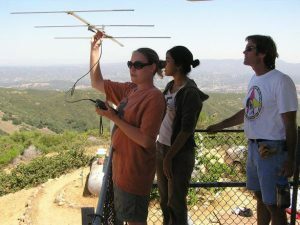 For the last 20 years, the lookout project’s staffing, work projects, planning sessions, and physical labor have been provided by many community volunteers, as well as the Cal Poly student internship program, and Cal Poly’s Wildlife Club. Funding to restore the tower came from the MCAS, the Forest Service, Cal Poly, the National Wildlife Foundation, the San Luis Obispo Community Foundation, and from community donations. The restoration of Hi Mountain was as comprehensive as many FFLA projects. The cab’s ceiling, windows and interior were all replaced by volunteers and contractors paid through grants and donations. The cab’s interior was reconfigured for its wildlife monitoring mission. The cab’s fire finder, pedestal and original wood stove were removed years before the restoration project, and they were later discovered stored in the local USFS fire station. Appliances were all replaced to accommodate the overnight stays often required of the monitoring/tracking staff. The interior of the tower base was converted into a public education center, providing exhibits and artifacts of local flora and fauna for those who make their way up the rough 6-mile Forest Service road to the top of the peak. 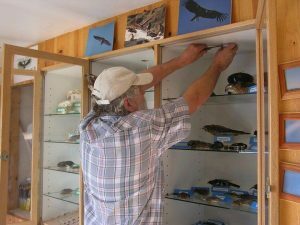 Museum-quality shelving was installed to display the exhibits in a very professional and eye-pleasing atmosphere. While conducting their science at the lookout over the past 12 years, Hi Mountain staff members have incidentally made three or four first smoke reports to Los Padres National Forest dispatchers by cell phone. The Southern California Chapter of the FFLA is currently talking to the Hi Mountain staff about providing training in smoke reporting and formalizing fire detection and reporting procedures. Such cross-training would help preserve the condor’s habitat, which is so important to Hi Mountain’s unusual mission.